When we last checked in with Democratic fundraiser Norman Hsu, he had just pleaded guilty to fraud relating to one of his investment schemes, probably hoping to keep those allegations out of his trial for making fraudulent campaign contributions. It didn't make a difference. After less than a full day of deliberations, a Manhattan jury has convicted him of violating campaign finance laws by using straw donors to get around limits. Hsu's defense argued he was framed by investors who cut deals with the government to avoid prosecution. Norman Hsu, infamous bundler of 2008 campaign contributions, pleaded guilty today to running a fraudulent investment scheme -- but not to making fraudulent campaign contributions. Trial starts Monday on the campaign counts. His guilty pleas today were without a plea bargain. On November 27, 2007, embattled fundraiser Norman Hsu was indicted by the feds in New York on fraud charges arising from an alleged $60 million Ponzi scheme. The 15-count indictment, unsealed today in New York, charges Hsu with wire fraud, mail fraud and violating election laws, alleging he lined up investors by promising high returns on short-term investments and used money from new victims to pay earlier recruits. He also pressured investors to contribute to political candidates he favored, Manhattan U.S. Attorney Michael Garcia said in a statement. The indictment was unsealed today. I've posted a copy here. Norman Hsu has been charged in federal court in New York with conducting a ponzi scheme to defraud investors of $60 mil and with campaign finance violations. Today's charges stem, in part, from new allegations that Hsu defrauded a group of New York investors who entrusted him with more than $40 million, believing they were financing a clothing venture. Hsu was charged with felony mail fraud and wire fraud in connection with the Ponzi scheme and a violation of the Federal Election Campaign Act in connection with campaign donations. Background on the New York investors case is here. The campaign violation counts allege he made "contributions to candidates in other people's names." The Complaint isn't unsealed yet on PACER. But the docket says the feds intend to seek his transfer to federal custody "shortly." Here's what the docket says so far. Democratic fundraiser Norman Hsu waived extradition to California today. He's expected to be returned tomorrow. Jason Booth says Hsu was “sick and confused” and may have thought he was boarding a Bay Area Rapid Transit Train when he instead caught an Amtrak train to Colorado. But according to the first article linked above, Booth had no comment on that explanation. Jason Booth, a friend of Hsu's and a spokesman for the San Francisco law firm representing him, would not comment on an Associated Press story that reported Hsu was disoriented and ill and got on Amtrak train thinking he was boarding San Francisco's rapid-transit system. Did James Brosnahan's office hire a friend of Hsu's as their spokesman? I tend to doubt it. I'm also having a little trouble crediting the wrong train scenario. His English reportedly isn't perfect, but still, he bought a sleeper ticket. And one would think after an hour or so on the train, he might have noticed, asked, or called someone. Norman Hsu: Where's the Crime? The New York Times and Washington Post have long articles today in which the reporters try to trace Norman Hsu's fund-raising contributions to Democrats. The articles practically take it as a given that Hsu's fund-raising was illegitimate because he was a a fugitive from California and they've managed to track down unhappy investors in his business deals that were unrelated to politics. Despite new interviews reported in the articles both with people that knew Hsu and those whom he asked to contribute to various candidates, one critical allegation is missing: None of the contributors so far have said Hsu reimbursed them for their donations. Without reimbursement, there's no campaign finance crime. Bundling donations is legal and all the candidates have bundlers. It's been my impression since the story first appeared in the Wall St. Journal that Hsu did nothing illegal in his fund-raising activities. The media keeps looking for and coming up short in discerning Hsu's motives in becoming a bundler for various campaigns. Hsu strikes me as a political groupie, someone who wanted to go to the parties and mingle with the VIPs, and the way for him to do that was by becoming a big donor. Norman Hsu left the hospital in Grand Junction last night. He was transferred to the Mesa, CO county jail where he will be advised by video this afternoon. There are no charges in Colorado pending against him. The only warrant is the San Mateo, California warrant on which California is seeking to extradite him. A hearing on the extradition request likely will be scheduled at the advisement. The Mesa County District Attorney will ask that Hsu's bond be set at $4 million. The Wall St. Journal reports that Hsu mailed a suicide note to acquaintances and some organizations before boarding the train to Grand Junction, including the Innocence Project. Hsu had been a big contributor to the Innocence Project. The Wall St. Journal continues its reporting of Norman Hsu's financial dealings. The latest installment (free link): A New York capital venture firm, headed by Joel Rosenman, one of the three original Woodstock creators, has asked the District Attorney's office to investigate a $40 million investment in Hsu's firm, Components Limited. Rosenman's partner introduced him to Hsu. Both invested personally with him and made a 40% return on their money. They then pitched the idea to Rosenman's firms' clients. The investment pool would "lend to U.S. private label designers that needed interim financing to fill orders for a select group of well-known, high-end U.S. apparel retailers." Since 2001, [Rosenman] writes, "the return of these short-term (typically 4½ months) loans has been no less than 40%." Hillary Clinton's campaign tonight announced that it will return not only the money Norman Hsu donated to her campaigns, but also the money donated by 260 persons associated with Norman Hsu. The total amounts to $850,000. Hillary's campaign also will begin conducting background checks on its bundlers. I hope, as the article says, the background checks are limited to bundlers. Bundlers legally collect money from other persons to donate to campaigns. So long as the bundler doesn't reimburse the donee, it's legal, and all the campaigns have bundlers. For the individual donor, I think it's important they be allowed to donate to political campaigns, up to the allowed $2,300.00, without fear of a background check. We should encourage former offenders to participate in the electoral process. By providing them an outlet to express their interest, we increase the likelihood they will remain law abiding. Continuing to stigmatize them is not only unfair, but likely to increase recidivism. When the media gets a bug up it's as*, it just doesn't quit. Check out all these articles on Norman Hsu this weekend. Disgraced Democratic fund-raiser Norman Hsu was wandering an Amtrak train bare-chested and shoeless and "freaked out" when he was nabbed, a witness said. "I thought he had a suitcase full of crack or meth," fellow passenger Alberto Dee, 21, told the San Francisco Chronicle. ....The train's conductor said the two-time fugitive looked like an elderly man with dementia, and that's why he called 911. The Denver Post reports a hospital administrator described Hsu as delirious. The Washington Post leads with a fundraiser Hsu held for Barack Obama in 2005. Norman Hsu : A Suicide Attempt? Hsu was taken off a passenger train at the Grand Junction train station earlier in the day by paramedics who requested a backboard to move him, said Sgt. Lonnie Chavez with the Grand Junction Police Department. Authorities received a request for medical assistance at the train station at about 11:15 a.m., but the exact nature of Hsu's condition was unclear, Chavez said. Justin Rood at ABC has a good piece today, pointing out that Hsu apparently is not registered to vote. I noted the same thing here. Norman Hsu has been found and apprehended -- at a hospital in Grand Junction, Colorado. Norman Hsu was a no-show at his court hearing to reduce bail today. Instead of reducing bail, the Judge revoked it and said he would be held without bail if apprehended. ``Mr. Hsu is not here and we do not know where Mr. Hsu is,'' Brosnahan said outside court. Brosnahan said that ``there was some contact'' with Hsu a few hours before the scheduled 9 a.m. court appearance, but he declined to say how and who talked to Hsu. Hsu also failed to comply with the Court's order to turn his passport over to his counsel for delivery to the Court. 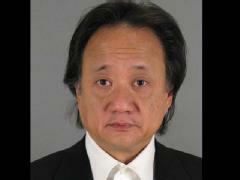 Bump and Update: Norman Hsu has made his $2 million bond. Update: The Justice Dept. will investigate Mr. Hsu's fundraising activity. Guess DOJ isn't that broke after all. Democratic contributor and bundler Norman Hsu has turned himself in on the California Arrest Warrant. Bond is $2 million (the amount on the outstanding warrant) and a hearing will be held Sept. 5 at which the Judge may reduce it to $1 million. I won't be surprised if he bonds out today on the $2 million. Then again, maybe he'd rather do a holiday weekend in jail than fork over an extra mil. He went to court with his California attorney and his publicist. He's got a great lawyer, James Brosnahan. Brosnahan's last high profile client was "American Taliban" John Walker Lindh. 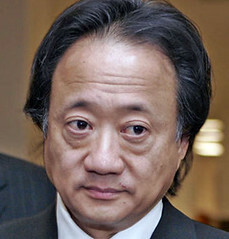 Tuesday, Barack Obama's spokesperson said the Senator would not give up the donations received from Norman Hsu. ... spokesman Jen Psaki said Obama, who has criticized Clinton for taking contributions that could undermine her independence, had no plans to return Hsu's donations. Today, he's had a change of heart. A spokesman for Senator Barack Obama, the Illinois Democrat who is a rival of Mrs. Clinton for the party’s presidential nomination, said Mr. Obama intended to give away $7,000 that Mr. Hsu contributed to his committees. 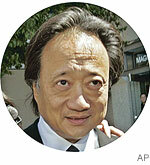 While Hillary, Al Franken, Bill Richardson and others are returning Norman Hsu's campaign contributions, Obama is not. Hsu also made donations to the Illinois senatorial campaign of Barack Obama in 2004. Yesterday, spokesman Jen Psaki said Obama, who has criticized Clinton for taking contributions that could undermine her independence, had no plans to return Hsu's donations.